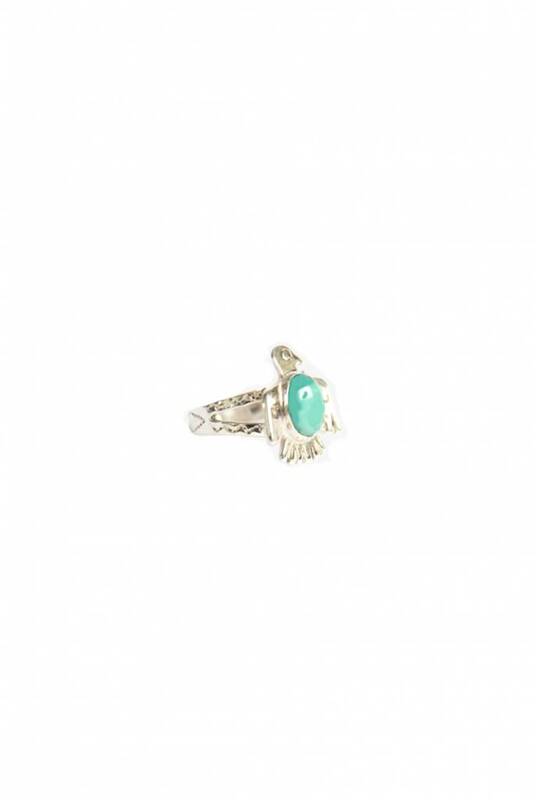 Pinky Ring Eagle Ring Silver from Wildthings Collectables. 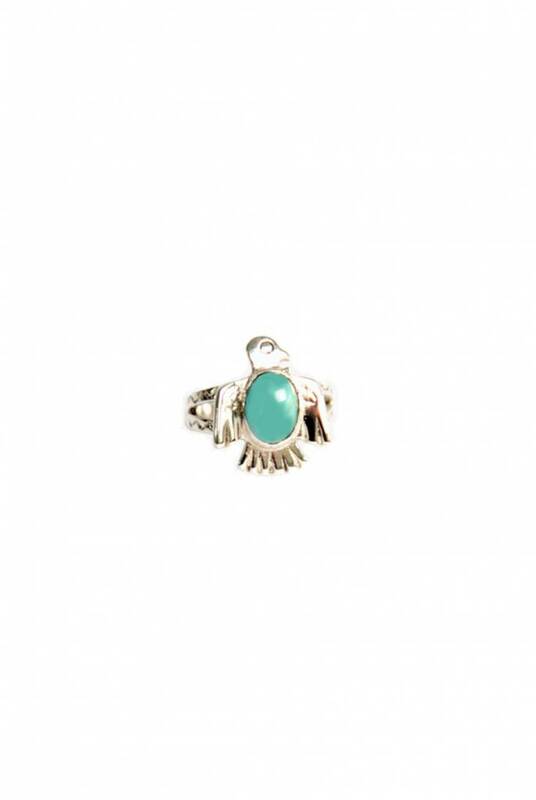 The ring is a broad band adorned with an eagle and a turquoise semi precious gem stone. 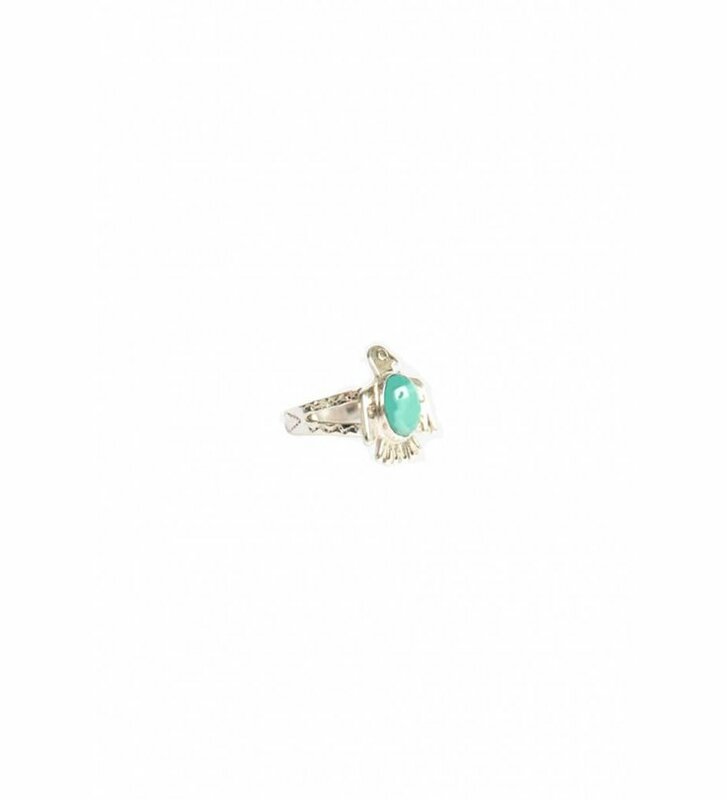 The stone is a natural product and can vary in colour from the photograph.